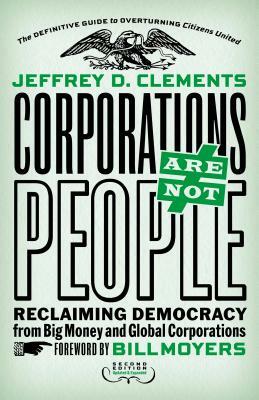 Since the Supreme Court’s Citizens United ruling that the rights of things—money and corporations—matter more than the rights of people, America has faced a crisis of democracy. In this timely and thoroughly updated second edition, Jeff Clements describes the strange history of this bizarre ruling, its ongoing destructive effects, and the growing movement to reverse it. He includes a new chapter, “Do Something!,” showing how—state by state and community by community—Americans are using creative strategies and tools to renew democracy and curb unbalanced corporate power. Since the first edition, 16 states, 160 members of Congress, and 500 cities and towns have called for a constitutional amendment to overturn Citizens United, and the list is growing. This is a fight we can win!